According to the RSPCA, nearly 50% of people living in western countries own a pet. For many of us, a pet is more than just an animal but part of the family. With that in mind, we’ve created the Ultimate Pet Safety Guide. 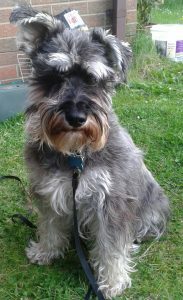 Our insightful guide is a great resource for any pet owners and especially those new to owning and looking after pets. Caffeine can increase your pets heart rate and in extreme cases lead to heart failure. Keep coffee, tea bags and energy drinks away from your pet. Xylitol is a popular sugar alternative that’s found in many artificial sweeteners, sweets, chocolates and drinks. It can cause liver failure in cats, dogs and other pets. Salt is commonly found in human food but in large doses can be fatal to pets. Macadamia Nuts and other nuts including peanuts can cause tremors, fits and sickness. Vitamin D is very harmful to most pets. It can be found in skin cream, cod liver oil and supplements. Avocados contain persin which is harmful to most wildlife. Sultanas, Raisins, Grapes and Currants contain chemicals that are harmful to dogs. Watch out for cakes, desserts and other foodstuffs that were created for humans. Onions, Garlic and Chives are another popular foodstuff that is harmful to cats and dogs if fed regularly. Alcohol is poisonous and dehydrating to pets. Watch out for cakes and drinks that contain alcohol. Anti-freeze has a very sweet taste which may appeal to cats and dogs. Mop up spillages quickly to protect your pet and any wildlife nearby. Ethanol is a type of alcohol and is found in dozens of household items including shaving products, mouthwash and adhesives. Painkillers for humans can cause liver failure in cats, dogs and other pets. Leaking batteries are particularly harmful to cats but also to all other animals. There are many foodstuffs, liquids and household items that aren’t harmful to humans but could kill your pet. The People’s Dispensary For Sick Animals has a more complete list of harmful items, including poisonous plants. Cats are well known for their ability to climb almost any obstacle, dogs also have powerful back legs and many can leap over fences and walls. Almost all pets can dig and burrow, if they really want to escape. There are several variations of this product but they work on the same principle. A cylindrical bar or pole is secured at the top of each fence or wall, when the animal tries to scale the boundary, the pole rotates and they lose their grip. 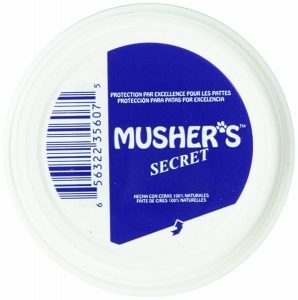 These products have been tested with Bengal cats which are notorious for the climbing abilities. While this system isn’t cheap, it is the most effective way to secure your garden and keep your pets away from the dangers that lurk outside your property. It’s 100% pet-friendly and humane, no sharp objects, alarms, leashes or anything else that could startle or hurt your pet. It can be painted to match the existing colour of your fences. Can be fitted by a competent DIYer. You can dismantle it and take it with you should you move home. Also makes the property less desirable to potential burglars. We aren’t affiliated with Katzecure but they have a very informative website with a FAQs section and also some videos that explain how the system works. Construct fences with concrete kickboards at least two feet below ground level. Bury heavy large rocks at the base of the fence. Bury folded chicken wire under the fence. Place a chain link fence just above ground level directly in front of the existing fence, this may deter digging. The Humane Society has some great tips on how to prevent digging. Prickle strips aren’t ideal as they’re made from sharp plastic spikes but could be deployed as a last resort, perhaps to keep a pet away from a poisonous plant or root. We prefer the more humane roller bars to stop animals climbing up onto fences. 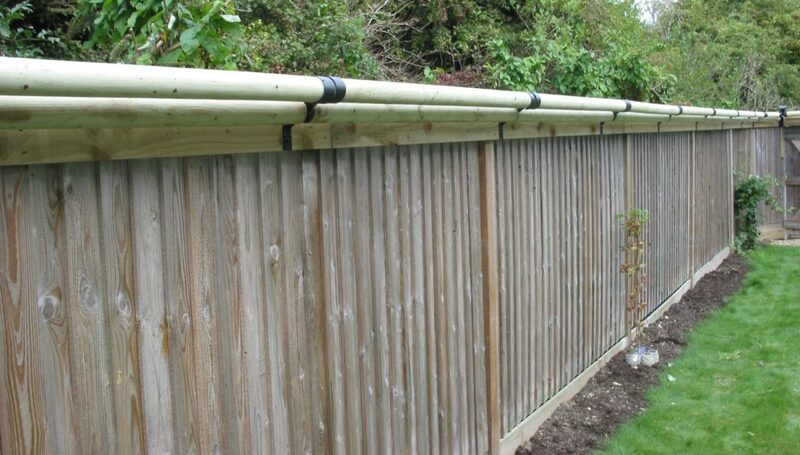 Fence roller bars and a concrete or rock-filled base under the fence is the best way to secure a garden from climbing, leaping and burrowing pets of all types. Pets can be inquisitive and unruly, especially when the owner is out of the home. Dogs should be taken to behaviour classes at a young age. Reward good behaviour and never reward or encourage bad behaviour. Walk or exercise your pet, they’ll be less destructive and more sleepy after a long walk. Most pet owners keep food and water bowls in the kitchen, but this is also where gas, water and electrical appliances are found. If y our pet is unruly, consider moving the bowls elsewhere and securing the kitchen. The Telegraph published an insightful article about the 10 most common causes of dog behaviour problems, it’s a good read. If you’re concerned about a potential fire breaking out in your home when you are away, consider installing a smart smoke alarm. Smart fire alarms will send you a notification to your mobile phone should smoke be detected in the property. You can then take the appropriate action, such as phoning a neighbour or the emergency services. 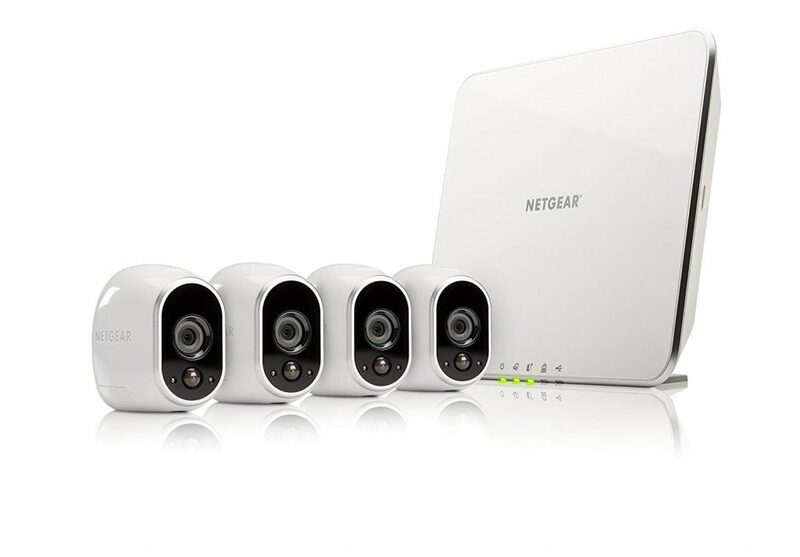 Cameras can also be connected to the internet so you can see what’s going on inside the home via your phone or desktop at work. The price of electronic home monitoring systems has come down in recent years as competition has increased. Now is a great time to purchase a camera and smoke alarm system so you can keep an eye on your pets when you’re away from the home and be alerted to any dangers. Pets, in particular dogs, have a tendency to run off and get lost from time to time. Dog training classes at a young age are probably the best way to learn how to control your pet. Reward good behaviour and when your dog follows your commands. Consider buying a GPS tracker for your pets if they have a history of disappearing. 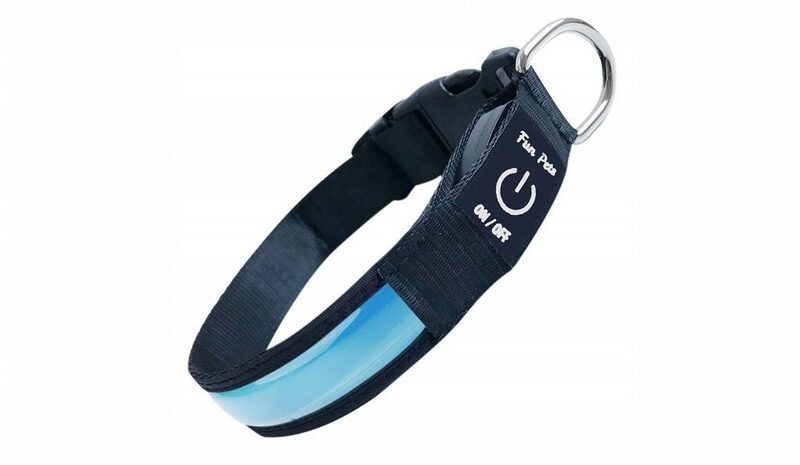 You can purchase collars with lights so you can see your pet in the dark should it wander off. Collar bells are also popular for dogs that have a tendency to stray off. A good quality pet tag that displays your telephone number is also a good idea. If you take your pet boating on lakes and rivers or even in the sea, consider buying a pet buoyancy aid. A super bright rechargeable dog collar. Most pets dislike the heat, probably due to their fur or hairs. 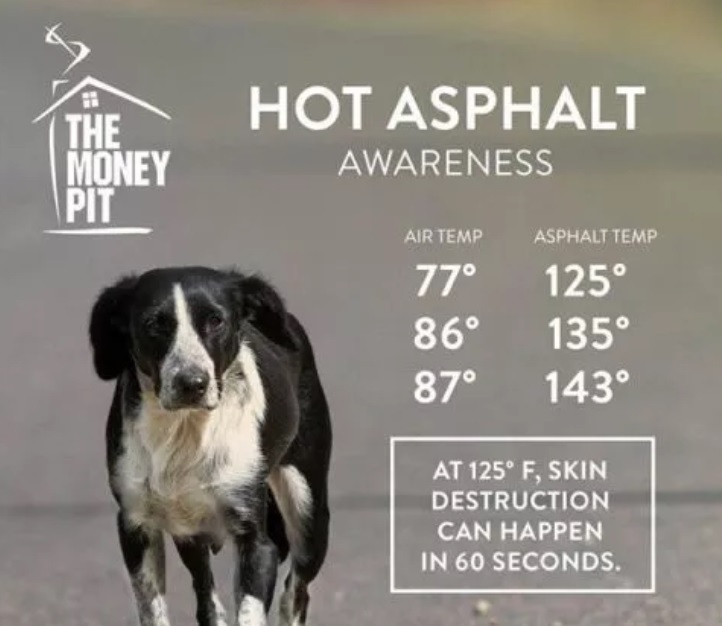 In extreme weather conditions, sunlight or excessive heat can easily kill a pet. Pet safe sunscreen contains all the UVA/UVB blocking properties of regular suncream but doesn’t contain any of the nasty additives that are poisonous to dogs and cats. There are plenty of dog shoes and paw protection products on the market. These should only be used for the shortest amount of time possible as most animals sweat through their feet, this is how they regulate their body temperature and airtight shoes and waxes can disrupt this process. Pets often wander off, especially if they have a strong chase instinct and were following some prey. 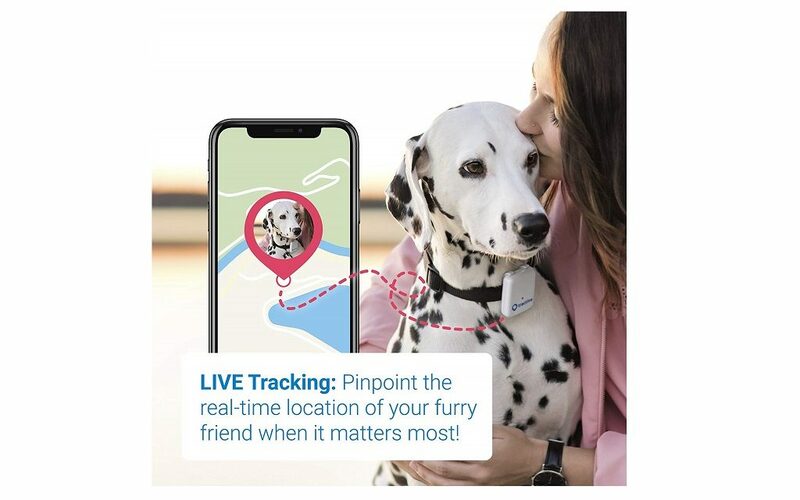 GPS dog collars are the best way to track your pet’s movements and location and we think these products are worth the investment. If your pet is lost, you can sign up to the websites listed below. Some have apps which will notify members of a missing dog in their area. Of course, you’re far more likely to find your pet if it’s microchipped. All of these sites also offer practical tips on how to recover your lost pet, including templates for flyers. The RSPCA has published a downloadable guide to pet first aid and helps you with what to do in an emergency situation. It’s a great read from the UK’s leading animal protection charity. They also have plenty of specific pet guides available to purchase online at very reasonable prices. All money goes to good causes of course. The ASPCA mobile phone app contains a ton of helpful information, much of which contains advice for what to do in emergencies. You can also store your pets medical history and access the app when there’s no connectivity. Fish Tank Guide is a great place to start if you would like to own fish and are concerned about safety. Lisa Spector wrote this great article about how to keep your pets safe and calm during firework season. The Hartz guide to owning and handling small pets is a good introductory article. PetCareRx has published a guide to cat-proofing an entire home.